Khowarib Lodge nestles on the banks of the Hoanib river in the magnificent Khowarib Gorge. 14 canvas chalets project out from the river bank on stilts over the river bed providing unrivalled, shady views of the cliffs opposite. The immediate surrounding area of Damaraland has many rich and interesting activities including desert adapted elephant and Himba settlements within easy reach. 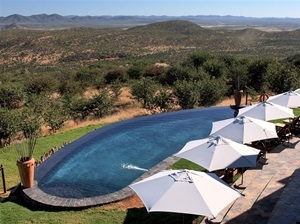 Fort Sesfontein offers luxury with historical background. The central court of the lodge is planted with palm trees and has a generous pool. The former officer’s mess has been refurbished as a restaurant with integrated lodge and bar. Today, more than 100 years after the original establishment of the Sesfontein station, the Fort has acquired a second lease of life after being tastefully restored, the use of building materials characteristic for the region such as clay walls, stone floors and wooden lining convey a very special and original atmosphere. Facilities include supply of warm water from solar cells, mosquito nets for the four-poster beds and ceiling fan. The Fort offers comfortable double bedrooms and family units for up to 44 persons. 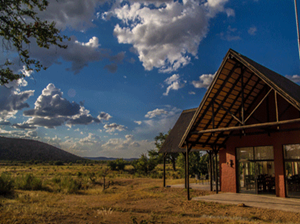 Okahirongo Elephant Lodge is situated 55km from the coast and around 200km south of the Kunene River. The lodge stands on the banks of the ephemeral Hoarusib River, near the tiny town of Puros. Spend your days lazing around the pool, reading a book in the cool comfort of the library, relaxing in one of the 2 open air lounges, or having a body massage. A domed entrance gives access to the open-air buildings, which are linked by wooden walkways, all joining onto a central area with a rustic deck and infinity pool. The lodge consists of 7 luxurious, en suite chalets, as well as a suite with two rooms and combined living area, all with stunning views. The cuisine is a delicious fusion of Italian and African cooking. Dinner is served by candlelight in one of the two dining rooms or under starry Namibian skies in a traditional boma around a fire. Most of the fresh produce comes from the lodge’s organic garden. Springbok, gemsbok and ostrich can be viewed, whilst Namibian desert adapted elephants traverse the dry riverbed on their way to fresh water springs. Activities include: Morning, Afternoon and Night Game/Nature Drives, Sunrise and Sunset Drives, Hiking trails, tracking of desert-adapted elephants or visiting a nearby Himba village. Opuwo is the gateway to the Kaokoveld and a remote area south of the Kunene River which is the home of the Himba people, who have kept their ethnic individuality and culture in the seclusion of Kaokoland. 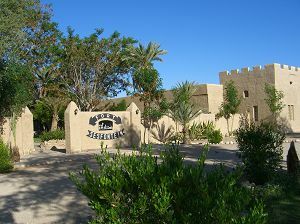 The hotel provides comfortable luxury accommodation with air conditioning. Accommodation consists of 28 Luxury rooms, 12 standard rooms, dining room, bar, lounge, wine cellar, curio shop, patio and swimming pool. Self-drive excursions to Epupa Falls, Swartbooisdrift (Kunene), Kaoko, Otavi and other points of interest or an optional guided excursion to an authentic Himba village can be undertaken. Enjoy a perfect end to your day with your selected wine from the cellar and a magnificent sunset over the beautiful landscape of Namibia's extreme North West. Uukwaluudhi Safari Lodge, north of Etosha National Park in the arid Kunene region, offers travelers a chance to see the wildlife of the Kaokoland. Named, after the Uukwaluudhi ethnic group meaning "small group of one clan" the lodge is situated on a small 6,000 ha reserve in the Omusati region that forms part of the core wildlife area of the conservancy and is fenced in to protect its valuable endemic wildlife. Instead of walls around the main area the large thatch roof rests on sturdy timber pillars that allow for the open veranda-like atmosphere that accentuates the impressive panoramic vista from the hill it is built on. 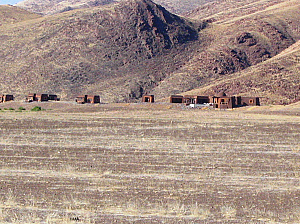 The view from the top of this outpost stretches across dense combretum or “Leadwood” and terminalia trees to the foot of the hill where the view continues across flats of semi-savannah and dry flood plains, occasionally dotted by grazing antelope and plains-zebra. The tranquility of the surrounding bush blend in perfectly with the ambiance at dinner or while lingering around the bar in the company of other safari enthusiasts sharing their stories and travel experiences through Africa. Accommodation includes eight well-appointed Meru Style tented units, as well as four permanent constructed rooms, all en-suite with views over the Okaholo Pan. All tents have an adjacent brick and stone bathroom with shower, flush toilets and basin.The essential amenities are also included. The tents are mosquito proof and repellent spray is provided. Breakfast and dinner is included, lunch is optional and can be ordered from the a-la-carte menu. Power is supplied by solar energy strong enough to charge laptops, but not for the use of hairdryers. Laundry facilities are provided on request and at an extra cost. Activities the lodge offers are early morning sunrise game drives, afternoon sundowner game drives, Ruacana Falls and Half Day Culture Tours; History Excursions. 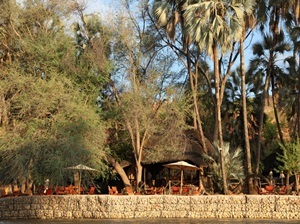 Facilities of the lodge include restaurant with individual tables, bar, lounge, small curio shop and swimming pool, all in perfect harmony with the natural surroundings.The thatched roof verandah-like outpost is situated on a small hill overlooking a large savannah plain where antelope and zebra graze and giraffe brows on the edges of the woodland where sweet-thorn acacia grow. Hobatere Lodge is strategically located 65 km north of Kamanjab on the western border of Etosha National Park. The lodge has an airstrip and is situated in a concession area of 8,808 ha which is home to a wide selection of game, including elephant, lion, leopard, cheetah, giraffe, eland, and Hartmann’s zebra. The unique location of Hobatere, being the Getaway into the Western Etosha Park, allows for an exclusive wildlife experience but, at the same time, the aim is to increasing the sense of being a conservancy lodge which benefits the local community and conservation.The lodge is situated in a concession area in the region of Damaraland, close to a number of key attractions including Twyfelfontein, Brandberg, Etosha National Park, Damaraland, Hoanib River and Opuwo. The area offers a wild and memorable experience, with free roaming wildlife found on a concession areaof 8,808 hectares with a host of species to be seen such as elephant, lion, leopard, cheetah and normal game.Our guests can look forward to great hosts from the local community, a warm welcome, personalised service, excellent food, inviting chalets with comfortable beds in the middle of the wild. Amenities include a swimming pool next to the main area with sun lounges for relaxing under the Namibian sun. Epupa Falls Lodge consists of nine luxury safari-style tents erected on stone platforms, each with two single beds and en-suite bathroom. 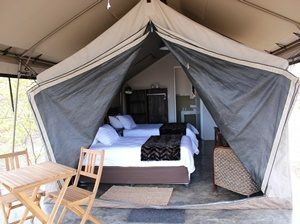 All tents have electricity and mosquito netting and an outside, shaded balcony overlooking the tranquil Kunene River. Large makalani palms overhead provide welcome shade from the midday sun. The adjacent dining room and lounge area also face the Kunene River, along with a lounging pool for cooling down from the midday heat, or enjoying a glass of sparkling wine while watching the sun set. A small suspension bridge connects Epupa Falls Lodge with its own private island with hammocks, benches, and lounge chairs along the river to create your own little piece of paradise. Epupa Falls Lodge works closely with the local community to provide them with access to development opportunities and direct benefits through tourism. Epupa Falls Lodge has a sound ecological policy that includes removing all solid waste from the area and, whenever practical, recycling waste. A minimum stay of two nights, ideally three, is recommended to fully benefit from everything the Epupa area has to offer. On the banks of the Kunene River, only a short walk upstream from the spectacular Epupa Falls, lies Omarunga Camp. Hidden in the shade of the exotic Makalani palm trees, this little paradise is definitely one of Namibia's most secluded getaways. Omarunga offers comfortable tents, all separately located and fitted out with comfortable wooden beds, tables and quality bed linen. Washbasins are located adjacent to every individual tent, furthermore hot and cold showers are provided. 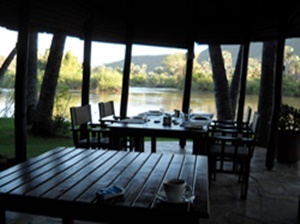 Guests at Omarunga will be tempted to just relax and absorb the breathtaking scenery of the mountains on the Angolan side of the river and indulge themselves in the personal attention and European style hospitality, but there is a whole variety of optional activities awaiting them too! They can explore the spectrum of smaller waterfalls created by the approximate 800 meters wide river system. The more adventurous may want to cool off in one of the crocodile-safe pool just above the falls. 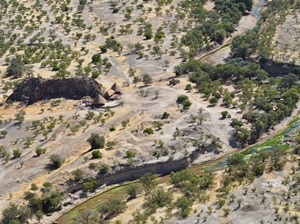 The Kunene River forms a natural boundary at Namibia's northern extremity. Sited 50km west of Ruacana Falls and 100km east of the spectacular Epupa Falls, Kunene River Lodge nestles beneath a beautiful canopy of indigenous trees stretching down to the river. 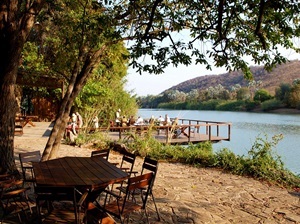 "A Piece of Paradise" has been aptly used to describe Kunene River Lodge. The Reception Area, Bar, Restaurant, Lodge Grounds and Activities are open to all, but to satisfy the diverse needs of travellers there are currently three distinct levels of overnight accommodation: Seven delightfully spacious Deluxe Rooms which allow you to spread out your belongings, relax and sleep in comfort. The lodge offers twelve Campsites in the Lodge grounds amid the lush undergrowth and under the shade of the wonderful old Leadwood and Jackalberry trees by the Kunene River.